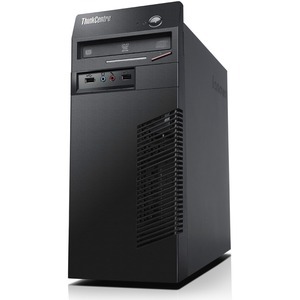 Mini tower desktops provide the ultimate performance with full-featured scalability, yet weigh about 20.72 lbs. M79 desktops include some of the best security tools available in the industry, including smart USB protection, which disables ports to help prevent data theft and network security risks against unauthorized use of storage devices. RAID 0,1 support adds data protection, as well as Trusted Platform Module (TPM), which encrypts data and key information like passwords and digital certificates, further securing applications, electronic transactions, and online communication. Desktop/mobile Architecture for System Hardware (DASH) provides a host of capabilities to tighten system security and to address growing IT requirements through remote manageability. And for extra security, the ThinkCentre M79 is Opal-HDD ready, which means that full hardware data encryption can be provided so that data is safe no matter what happens to the drive-especially useful for large enterprise and government sectors.